This is a special sale of the original PureDAC, not MK2 version. PureDAC MK2 is sold out! 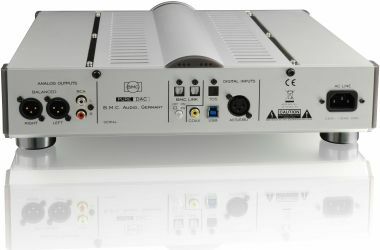 The PureDAC delivers a digital to analog converter of the highest quality. 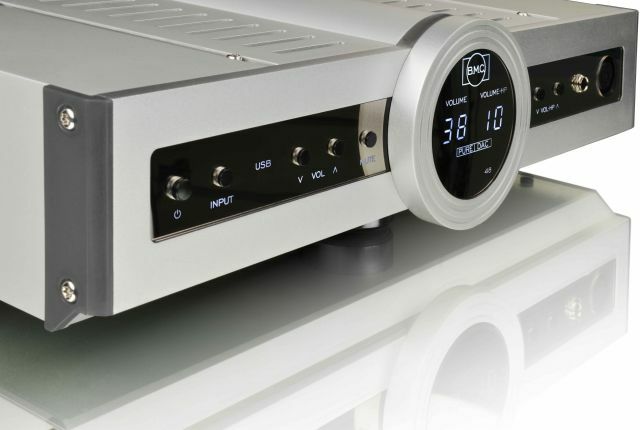 It combines its DAC with a balanced preamplifier, a reference-level balanced headphone amplifier, and B.M.C. 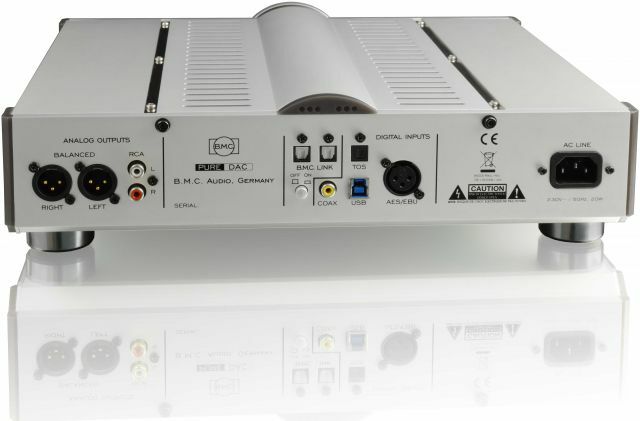 's exclusive Digital Intelligent Gain Management (DIGM), a volume and amplification control system that calibrates gain without dividing or downgrading the input signal. The PureDAC's balanced preamp is integrated with the DAC's current-to-voltage converter, which converts and filters the DAC's current, eliminating the need for an extra stage. The Preamp and headphone amp both employ B.M.C. 's exclusive Load Effect Free (LEF) technology that handles current demand separately from the voltage demand, and naturally avoids distortions increasing the preamp and amp's quality of its audio reproduction. 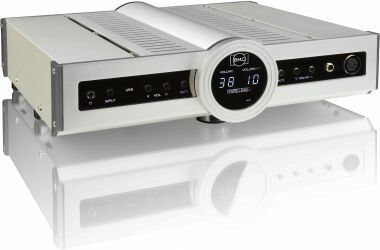 The PureDAC also boasts separate volume controls for the preamp and the headphone, a high-resolution asynchronous USB interface, digital AES/EBU, Toslink and coaxial inputs, balanced analog outputs, RCA output jacks, and a special B.M.C. link for connecting directly to a B.M.C. amplifier. It's balanced output is ideally compatible with amplifiers featuring B.M.C. 's exclusive Current Injection (CI) technology, which enhances signal purity and the musical presence of the PureDAC's audio reproduction. USB PCM: 16...32bit; 44.1, 48, 88.2, 96, 176.4, 192, 352.8, 384kHz. 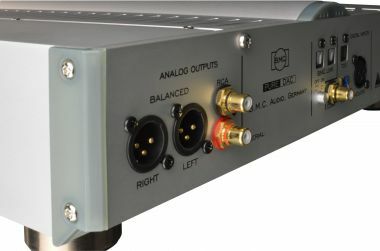 Balanced LEF, CI-compatible preamp that optionally operates in B.M.C. Mode, with DIGM and a vertically diffused metal oxide semiconductor (DMOS) and LEF-balanced output stage. Active USB audio interconnection cable.